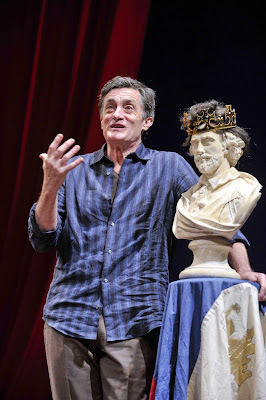 Roger Rees knows everything about Shakespeare. He knows soliloquies from Hamlet, love scenes from Romeo and Juliet, costuming from all the Henrys and Richards and also every book, article and scholarly work that has ever been written about the plays of Shakespeare, about performing Shakespeare or about the Bard himself. Rees has a great smile and is also a familiar face, having appeared in countless TV shows, films, miniseries and TV specials. The first moment he steps out onto a stage sparsely furnished with not much more than a throne and Yorick's skull, you recognize him: It's the Sheriff of Rottingham, from Mel Brooks's "Robin Hood: Men in Tights!" You love him already. Alas, the play's the thing. 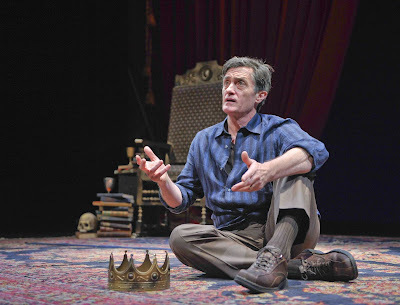 Roger Rees's one-man show "What You Will" isn't really a play. It is an entertaining and educational evening, yes; an homage to the great Shakespearean actors of the past 300 years, yes; and a few humdinger famous speeches from Hamlet, King Lear, Othello, Romeo and Juliet and others are included, yes indeed. There are several memorable moments. As a show, "What You Will" doesn't reach very far. 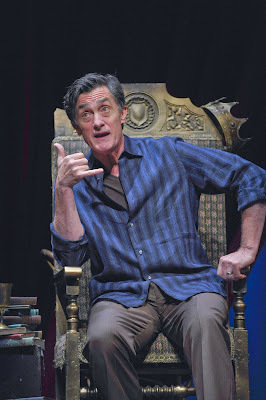 If Roger Rees were our English teacher, this would be, hands down, the best class in the university. But it's a large stage and we are used to seeing a little more. There is not much arc to the story. We go out pretty much where we came in. That said, there is plenty for which to applaud, and the audience certainly did so. But more Shakespeare! The stories get old, Shakespeare never does. When Rees performs Hamlet's famous 'To Be or Not To Be' soliloquy, we are simply stunned by its majesty. One special moment should be mentioned: Rees's recitation of a James Thurber story in which an American tourist 'solves' the mystery of Hamlet. This is funny stuff; also, everything Rees has to say about Macbeth makes us want to run out and see Macbeth. But probably not "What You Will" again, though actors and others who cherish Shakespeare will certainly find a lot to ponder, over a nice cold goblet of mead. It's still great. 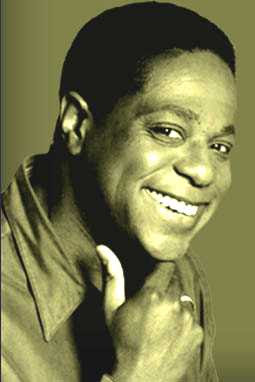 Even though Brian Copeland had serious spinal surgery in the Spring of 2008, and his week-long benefit for the Marsh Theater is his first spin back on stage in all that time, and even though up until his hospital stay he had been performing 'Not a Genuine Black Man' almost constantly, across the country and Off-Broadway, since its debut at the Marsh in 2004 (where it became the longest running solo show in San Francisco theater history), the material is still fresh. Its revelations continue to tear at our inner core. Yes, Copeland is a little stiffer and maybe the tears and screams are a little more forced than when the show was new. But his story resonates, not because of his emotion in telling it, but because of the obvious truths he makes us face. Racism was real for him as a child in San Leandro in the late '60s and '70s, and though that monster has perhaps lessened its grip, it has not in any way disappeared from our lives. It helps that Copeland is such an excellent performer. WARNING: his descriptions of everyone, be it his mother, father and grandmother or the landlords who are trying to evict them, are so spot-on that it may feel awkward at first to let that belly laugh escape. But you can't hold it back. The show is too funny. Neither blacks nor whites are being held for ransom here, and Copeland is not trying to be Dave Chappelle. This is a theater piece, not a comedy review, and though his story may make you uneasy, it insists on making us all consider his central question: "What is it that makes the racial identity of successful black men suspect?" There's only one week to see Brian Copeland at the Marsh, where his journey began. All proceeds are being donated to the theater to purchase new seats. We'll miss those old red spine squashers, but not too much. The San Francisco Theater Blog Awards Division awards "Not a Genuine Black Man" Three Stars with a BANGLE of Praise. The BANGLE is for Copeland himself having enough heart to honor his commitment to the Marsh. It's nice to hear that Ed Asner is considering making a TV series out of the piece, though God help us if Asner wants to play Brian Copeland. They'll have to change the chitlins/chitterlings gag.